I love good party food, who doesn’t?! But I also love when I can still walk at the end of the night, which means finding easy healthy recipes to put into action. 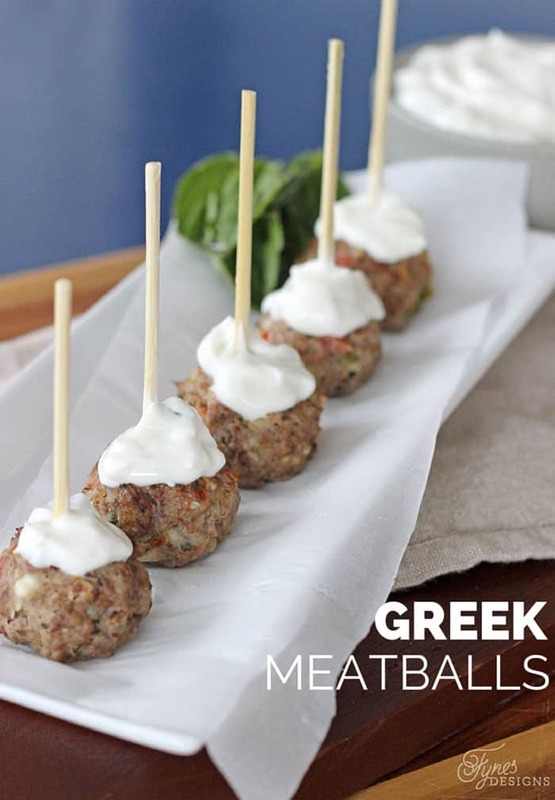 Enter this yummy Greek Meatball appetizer idea. I often serve these little morsels when I’m catering, they never last long! 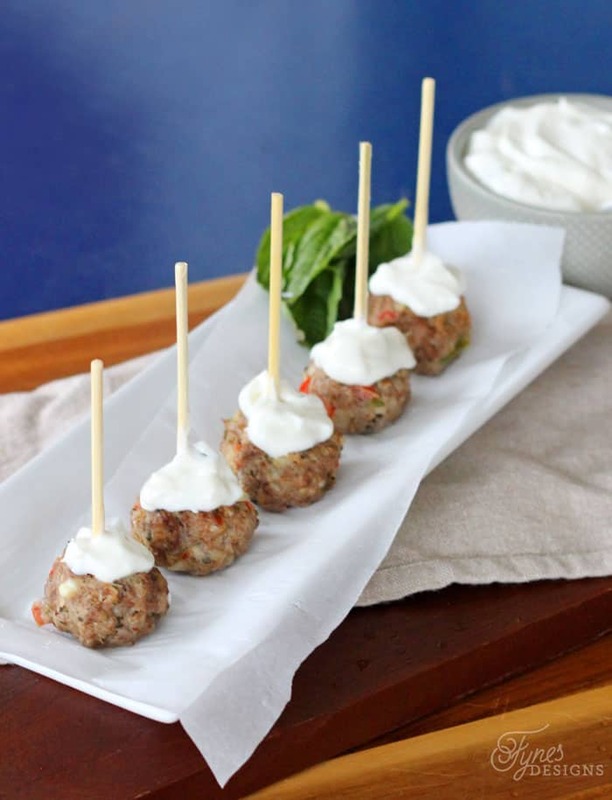 This appetizer can be made to suit any crowd big or small! Combine ingredients in a bowl and mix until combined. Make balls with a small scoop, and round with hands. Place on a parchment lined baking pan, and cook in a 350 degree oven for 10-15 mins. Serve immediately, or allow to cool on a separate plate for 20 minutes and refrigerate until your guests arrive. Return to a preheated 350 deg oven for 10 minutes before serving. Serve with a small dollop of tzatziki or a bowl for dipping. If you want to make the meatballs a little more authentic you could use 70% lamb instead of all pork (but since you may have to sell one of your children to afford the lamb, I usually just stick with the pork). 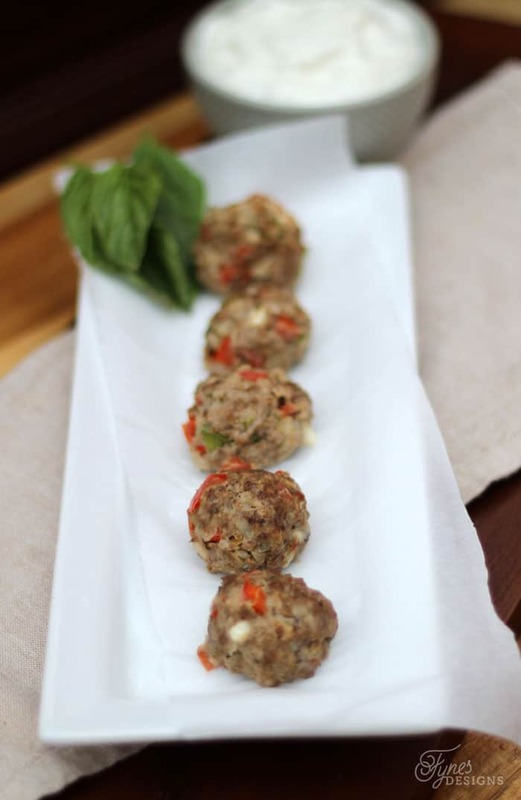 I’m certain after trying this easy Greek Meatball recipe you’ll be adding this to your Christmas appetizers list! Your guest will love you for it… and so will their waistline! Looking for more Easy Party Food ideas? These look SO good! I definitely want to put these on my holiday appetizer list! Thanks J! They are quite good, and so easy. A crowd pleaser for sure! Is there any way to make these ahead of time ? Yes! make them ahead and just reheat in the oven when ready to serve!